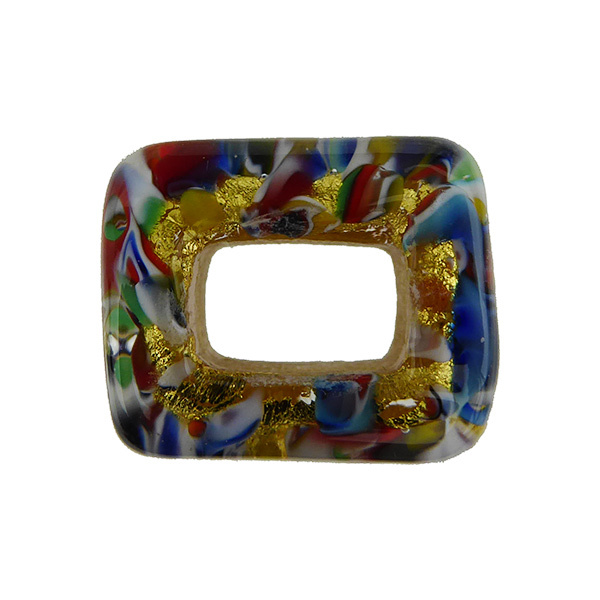 Enjoy many more colors of our authentic Murano Glass Beads made exclusively for Regaliz Leather. The hole measures 10x6mm and the outside is approximately 19x16mm. It fits only the standard Regaliz 10x6mm leather cord. These are glass, while they have been annealed for strength, they can break. 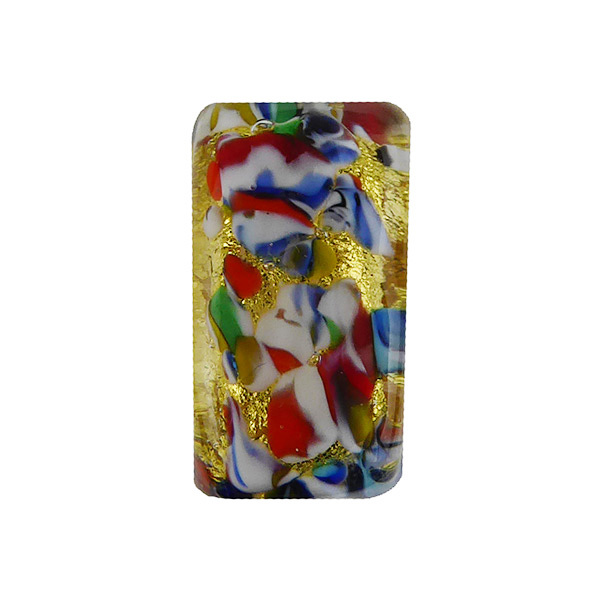 The design is multi colors of Murano Glass over 24kt Gold Foil.